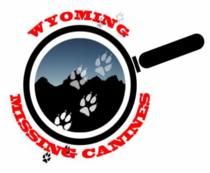 "Our mission is to prevent the abuse and/or the theft of dogs in the State of Wyoming through promoting responsible pet ownership, community education and enhanced public and private agency communication." ​This is the season that pet theft escalates across many cities in Wyoming, especially along the interstate corridors. Dogs from Casper have been found in Gillette and Cheyenne, a dog from Glenrock was found in Douglas, etc. PLEASE watch your animals as the increase in unemployment has created an increase in the dog flipping industry. Put out your well worn, dirty clothing, even sheets to make a trail to help your dog follow your scent home. Put a large sign in front yard in case a finder is looking for home. Distribute flyers door to door in neighborhood. Place large neon, easy to read signs at intersections as these allow people to call with sightings and increase awareness of your lost dog. Alert local police, animal control and shelters. Post on Craigslist lost and found and pets section, as well as on any neighborhood garage sale sites, community sites to help spread word. Place dog's bedding and aromatic food in sheltered area of your yard. If you have a garage door you can leave open, that sometimes helps. Notify postal carrier and anyone else making regular deliveries in your area so they can be on lookout too. If you see your dog, do not yell or chase as that can make a dog in survival mode bolt... . Be quiet, no eye contact. Sit or lay down and toss tasty food treats in circle, as dog approaches toss treats a little closer to you...Be patient and let dog approach you.